Tapping into the power of Virtual Reality (VR) is set to help one of the UK’s leading providers of road safety and fleet risk management services make driver training faster and more comprehensive. 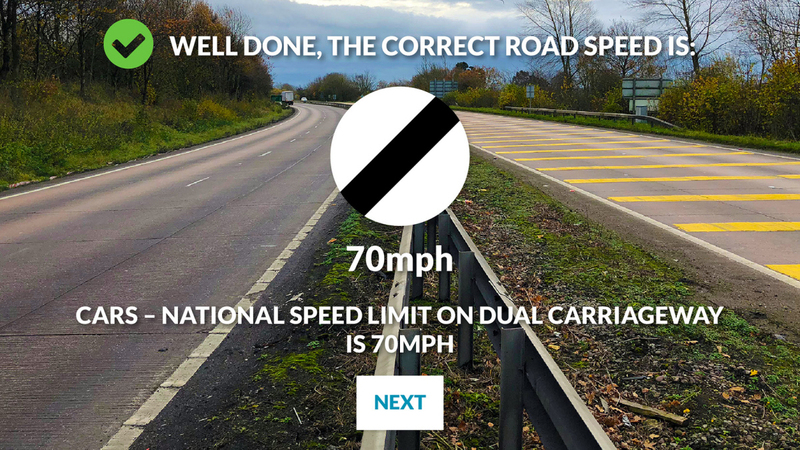 Telford-based TTC Group has teamed up with award-winning Nottingham VR app and web agency Gooii Ltd to launch the DriverProtect® App, which will initially use VR to help address the common driver problem of identifying speed limits without clear road signs. Development work has taken three months and included all film and photography footage, transporting the user – through the use of an appropriate headset – into an environment where they can learn and be tested on speed limit questions and scenarios. It is due to be launched in June and will immediately target public sector organisations and businesses that are looking for an alternative training option that saves time, is more cost effective and can be completed without the need to be on the road. “We are passionate about innovating the way we deliver training through the use of technology and this has already seen us launch a number of e-learning opportunities and risk management courses,” explained Andy Wheeler, Business Development Director at TTC Group. He went on to add: “Drivers of cars, vans and goods vehicles (up to and including 7.5 tonnes) will benefit from realistic training that is easy to undertake, quick to complete…all without leaving their place of work or home. TTC, which delivers more than 1.3million hours of training every year, has invested £500,000 into a new campaign to help organisations effectively manage all aspects of work related road safety. In addition to the App, this investment has included the recruitment of new staff to help it roll out its DriverProtect® suite of services that simplifies the process of looking after employees who drive as part of their jobs. The new appointments include a new telesales team and a number of specialists that work with companies across the UK, delivering fleet risk audits, policy management, driver licence checks, driver risk profiling, fleet driver training and grey fleet management. “From the initial discussions, it was clear TTC Group will become one of the leading suppliers of VR technology within its industry,” explained Phillip Hasted, Creative Director at Gooii. The DriverProtect® App is available on iPhone and Android devices and can be downloaded direct from the relevant app store. It will go live in June and is expected to train more than 1000 drivers in the first six months.